Albert Santoso is a friend of mine who is 28 years old currently living and working in Sydney. He grew up in Jakarta for the first 15 years of his life with his mother being a housewife and dad as a corporate worker. Although our tutor from university have scared us about the differences we would experiences in Indonesia, but in a big city like Jakarta is probably similar to Sydney in multiple ways. Albert says the buildings are very similar with houses and townhouses. People there dress the same as us unless theres is a special occasion. As an example he mentioned on the 21st of April, the ladies dress in their traditional clothing to celebrate the birthday of Raden Ajeng Kartini – a hero fighting for woman’s rights. Another occasion where kebaya is spotted is at a wedding or an engagement party. Albert’s been to a Indonesian wedding when he was younger. He said that some people would have traditional wedding in the morning and westernised celebrating later in the afternoon. During the traditional celebration, at least the family have to wear traditional clothing and all guest are expected have the same dress code too. This is also why you can find shops that rents out Kebaya, almost like renting a wedding dress. 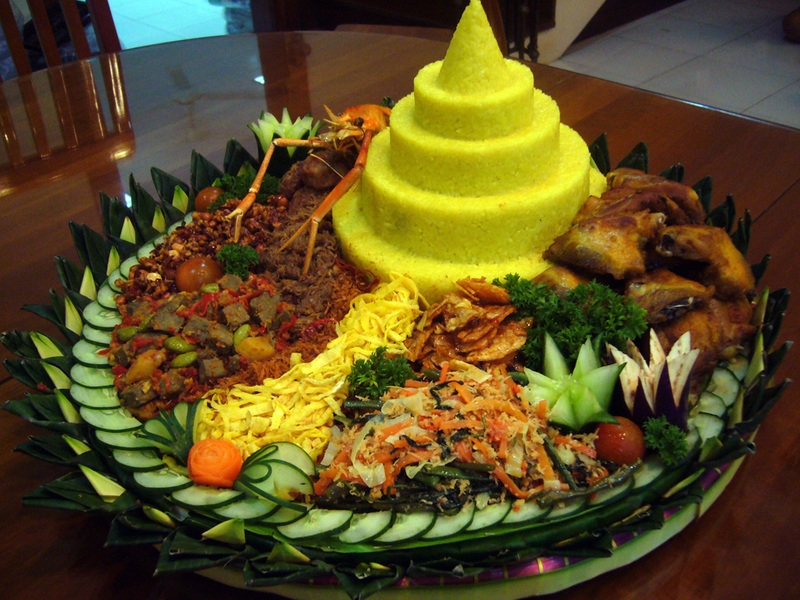 Instead of a wedding cake, they would cut into a “tumpeng”. This particular food is used for multiple celebrations in replace of a cake. This dish is made from a massive pile of rice with different flavourful side dishes. Albert laughed as he said that most Indonesians eats rice for every meal of the day because they won’t feel full without it. I asked him if he’s been to places outside the main city that are still culturally influenced or rural places in Jakarta. He told me back when he was little, he use to be a boy scout and they went camping at this little village with no clean water or electricity. This just shows how the country is stronger influenced by western culture. Albert says that his uncle was once robbed down to his underwear on the street of a rather turbulent area at night. However he says it’s best not to go out in general at night because it can be very dangerous no matter where you are in Indonesia. Albert mentioned that roads without lanes are very common in Jakarta and with the density of the population, it can take hours to go anywhere. 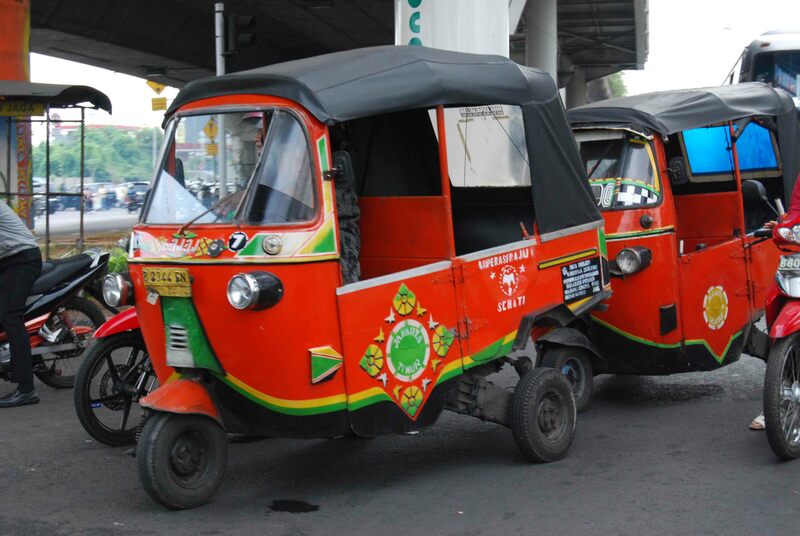 Other than buses and taxis, they have this three wheel car called “Bajaj” which is very popular in short distance travelling. Albert has never been back to Jakarta since moving here, even thought he have travelled to Bali for holiday. He said the density of the city, the weather and the horrible traffic are some of reasons stopping him from going back.